Thurty six passengers of Biking Sky,which broke down in stormy seas, are still in hospital. One is in critical condition. A cruise ship that was the focus of a daring rescue operation off Norway’s frigid North Sea coast became disabled because its engines did not have enough lubricating oil, the country’s top maritime official said yesterday. The ship’s harrowing weekend ordeal injured dozens of people, including 36 who were admitted to hospitals. Four people from the ship remained hospitalized, including one being treated in an intensive care ward in critical but stable condition, Norwegian health officials said. The crew anchored the Viking Sky in a bay as it came close to hitting rocks and the airlift to get passengers off the ship began. Five helicopters winched passengers off one-by-one as winds howled in the dark of night. Waves up to 26-feet-high were smacking into the ship, ruling out an evacuation by boat. 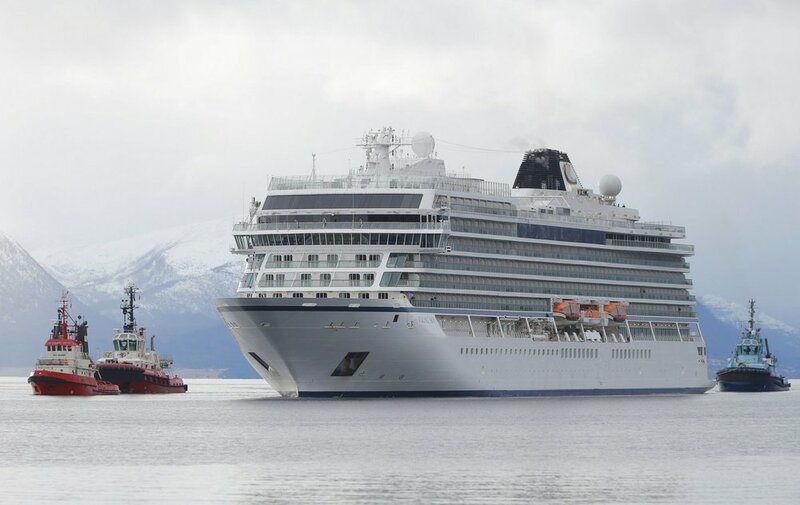 The Viking Sky was being towed to a shipyard in another port yesterday for repairs.